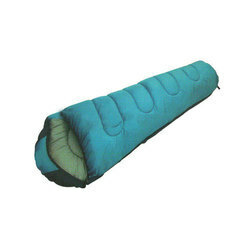 Jaqana is Sleeping bag manufacturer for trekking and Camping purpose, it is suitable to use in temperature range of +10 degree sleeping bag. 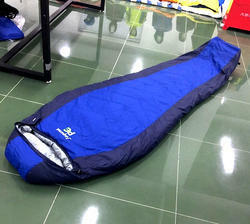 Sleeping bag is light in weight & easy to carry due to it’s compact packing size & weight of just 1kg. 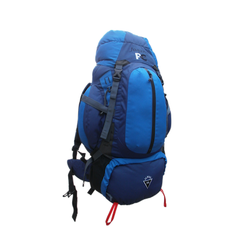 Made from High quality Nylon Ripstop fabric which is treated waterproof & is 40D weave is made to minimise weight while keeping strength intact. 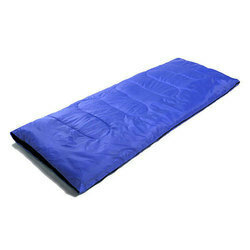 Goose Down Sleeping bag for trekking suitable upto – Minus 25 degreeNordic Sleeping bag for High Altitude trekkingSize of Sleeping bag220 x80 x 55cmsShell Fabric: Nylon Dobby 40D WR treated which ensures fabric withstand harsh temperature of Minus 25 degreeslining fabric: Polyester 50D, closely knit fabric to ensure Goose down does not come outInsulation: 600 grams Original Goose Down with Fill Power of 900, washed, cleaned of impurities & polishedWeight: 1.350 kg (including carry case) Usage of Nordic Sleeping bag & it’s specifications:Goose down Sleeping bag for High Altitude trekking purpose, suitable upto Minus 25 degree Celsius.Made with High quality Goose Down with fill power of 900, this sleeping bag is highly suitable for high altitude trekking, low weight & compact in packing size sleeping bag.Goose is washed, cleaned of impurities & polished to be sure of High quality Standard Sleeping bag.Packing of this sleeping bag is very compact due to Down insulation & high quality fabrics like 40D & 50D are used to hold Super fine Down inside. Weight is just 1.5 kg. · Front pocket with Zip opening. 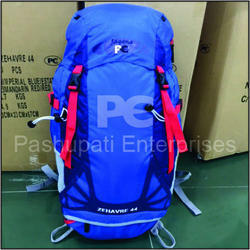 · Air System for back air ventilation / comfort. 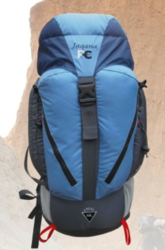 · Side Opening for quick access to main compartment. · Two compartments with lower opening. 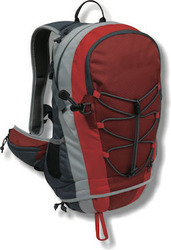 · Two front Roomy pockets with waterproof zippers. · Zip pockets on hip belt. 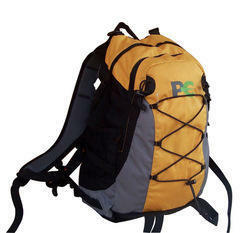 300D RIPSTOP (Non Tear ) FabricTwo compartment with lower opening. waist belt with Adjustable shoulder straps. 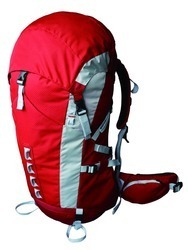 Size:220x80x55 cmsShell Fabric:300T Diamond Ripstop Nylon WR treated lining fabric: 300T Micro FibreInsulation: 300gsm Primus Fibre (Artificial Down)Zipper:YKK Japanese (double puller)Weight:1.7 kg. 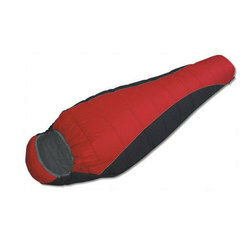 Sleeping bag K1 is suitable for Minus 4 degreeSize:215x75x50 cmsShell Fabric:300T Diamond Ripstop Nylon WR treatedlining fabric: 300T Micro FibreInsulation: 150gsm Primus Fibre (Artificial Down)Zipper:YKK Japanese (double puller)Weight:1 kg. · Side Openings for easy access to main compartments. 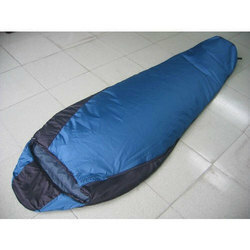 Compression bag is included in this Sleeping bag. 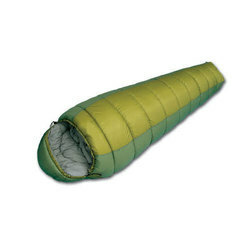 Sleeping bags Alaska 300 – +10 degree Jaqana Sleeping bag for trekkingSize230 x80 x 55cmsShell Fabric230T Diamond Ripstop Nylon WR treatedlining fabric:Silk touch PolyesterInsulation: 200gsm Hi-Loft Hollow fibreZipper:YKK Japanese (double puller)Weight:1.1 kg. 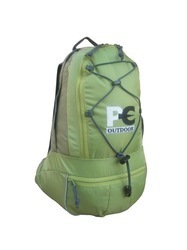 · 2 Compartment with lower opening. · Top lid pocket with zippered pocket. 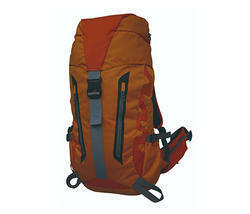 Jaqana backpack are famous for their proven Quality and economical prices.